That's right, Springsteen just announced today that he will be playing 10 shows in a lucky fan's backyard sometime in the summer of 2016. So who will be playing?! Well, that's the thing. 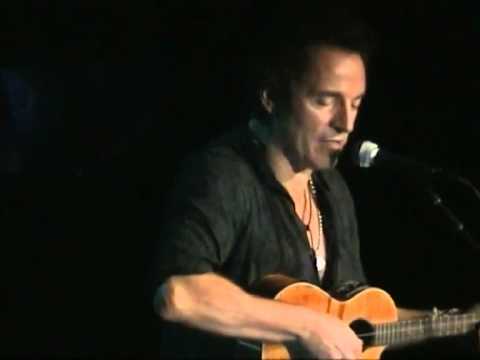 It's Bruce (on Ukulele) with a flute player and that's it, but does it really make a difference? So now the question is who will be the flute player? None other than the ridiculously famous Sir James Galway. There will be a raffle to get the chance of having Springsteen and Galway play in your back yard which will be posted soon. Tickets will then be hidden through the town or city where the event will take place and you will have to play "Mary Had a Little Lamb" on the flute in order for you to win the tickets. Flute players be on the lookout for potential side earnings the week the tickets are hidden, you will be in high demand. Best of luck!